We can all agree that our refrigerators are one of the most important appliances in the kitchen, we use them every day especially living in Australia. Fridges and freezers are running 24 hours a day, and even though we sometimes forget they are running in the background they integral to the modern kitchen. Without Fridges and freezers we would have no way of keeping fruit, vegetables, dairy, meat and other produce fresh to eat or keeping breads and meat frozen for weeks. As the refrigerator or freezer is so heavily relied on it is critical that they do not fail or stop working. If in the case that your fridge or freezer stops running, you will require a fast response to save your stored food, and this is where Norwest Appliance Service is ready to help. Our team is made up of highly dedicated and experienced technicians who will work hard to surpass your expectations when they visit your home directly to find the cause of any issue. With the tools and spare parts to fix most problems, Norwest Appliance Service will ensure the issue is resolved as quickly as possible, and have your fridge or freezer working again. 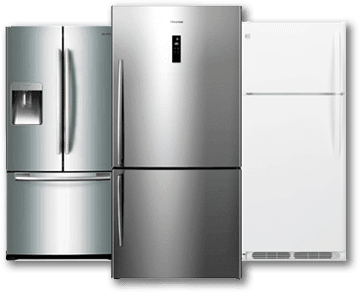 Norwest Appliance Service is able to fix or repair a wide range of refrigerator and freezer brands and models, providing the highest quality customer service throughout the process. Our technicians are fully licensed and insured, to ensure the right fix for your appliance right away. Norwest Appliance Service is available to anyone with a fridge or freezer problem in the greater Sydney region, offering an professional and excellent service. Experience the different and contact Norwest Appliance Service today!